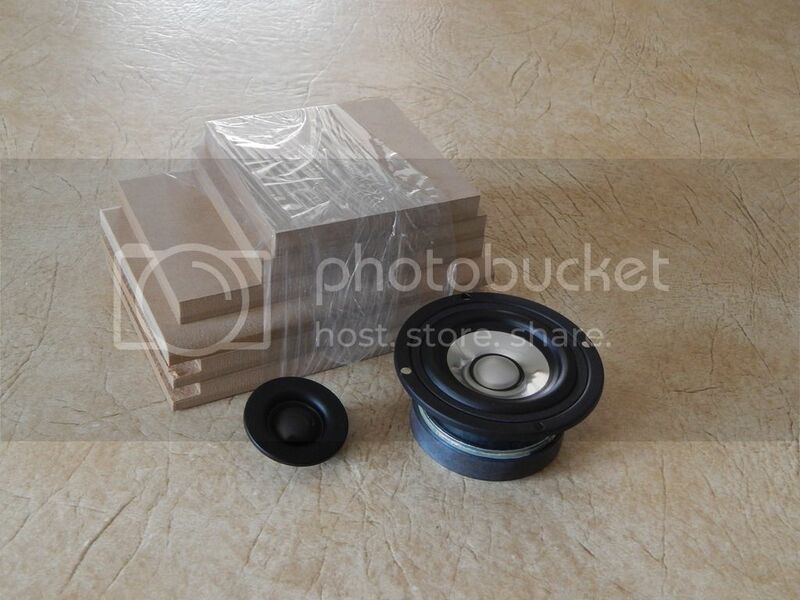 For years I have been using the cheap little plastic speakers that come with my computer, mostly because I really don’t have the desktop space for speakers like Continuums or Piccolos to sit there. Recently after transferring a couple hundred CD’s to the hard drive I decided to make something a bit nicer to sit on my desk. Since I am only 18” away they really don’t need to be real big and powerful, but I at least wanted something the sounded right when I listened to tracks or played Youtube. I have noticed a long time now that Parts Express was selling a small flatpack from Denovo Audio that would meet my needs (PN 300-7060), so I finally decided to pick up a pair. For drivers I really didn’t have a plan, but when Parts Express ran the Fountek FE-83 on sale for $6.90 I decided to pick up a pair. (I believe the FE-85 PN 296-717 will work in this design too). For a tweeter I pick up a pair of the press-fit Dayton ND20FA-6 tweeters (PN 275-030). Together these made a nice little attractive speaker. One interesting thing I found was when I measured the T/S parameters on the FE-83 was that even though the manufacturer lists the Fs at 121 Hz my sample measured at 100.3 Hz, and the Qts was a little lower than specified as well. You don’t often see drivers measuring with a lower Fs than specified so this was a welcome surprise. This led me to decide to make a vented speaker and see if I could pull a little more bass from the tiny box. I ended up using a press-in port that measured 1” x 4” (PN 260-470). This tuned the enclosure to 102 Hz and gives me good half-space bass into the mid 90’s. 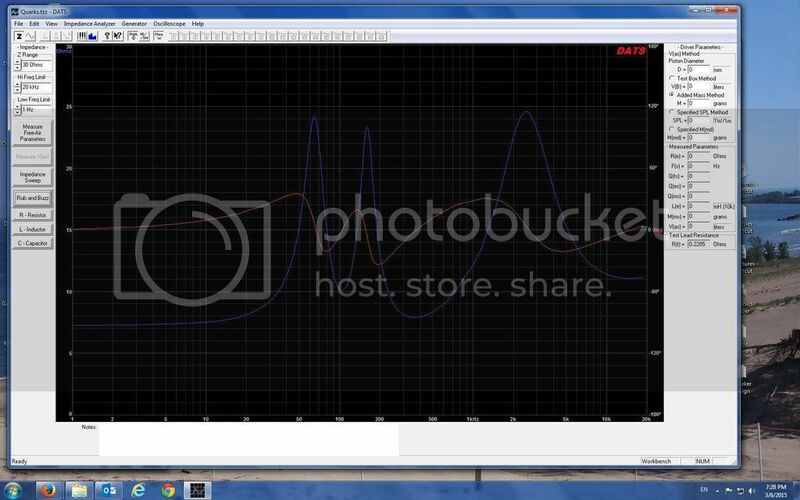 However, sitting on my desk there is excellent output to about 80Hz. 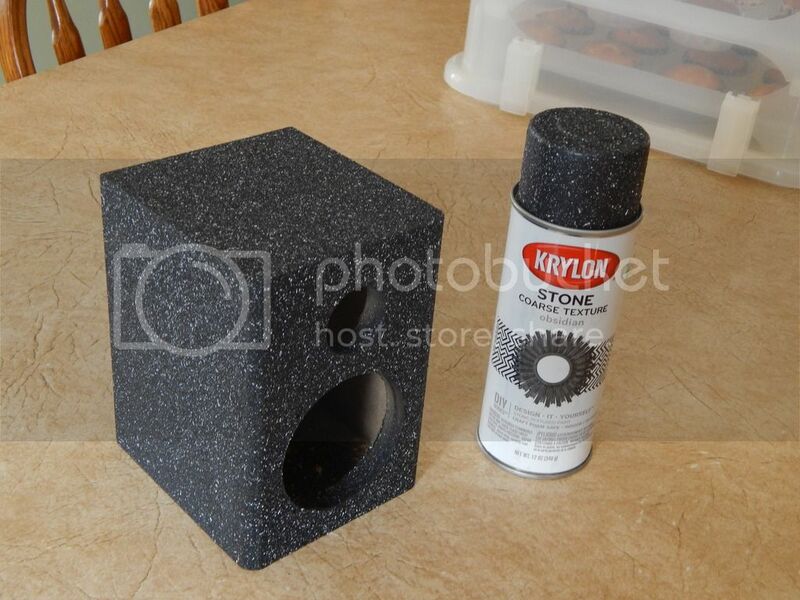 For the computer speaker I decided to paint the enclosure. I looked around at different paints and settled on a Krylon textured paint in their “Stone” series called “Obsidian”. This paint turned out to have an excellent contrast with the shiny aluminum cone 3” woofer. Finally, I added little rubber bumper feet on the bottom of the enclosure. The crossover is a fairly simple design, because first of all, this is an inexpensive project and second, there is very little room inside this box. All of the components are pretty small. Including the woofer’s inductor where I used a surplus ferrite core inductor that I unwound to 1.0 mH. However, a standard laminate core or iron core should work just fine. 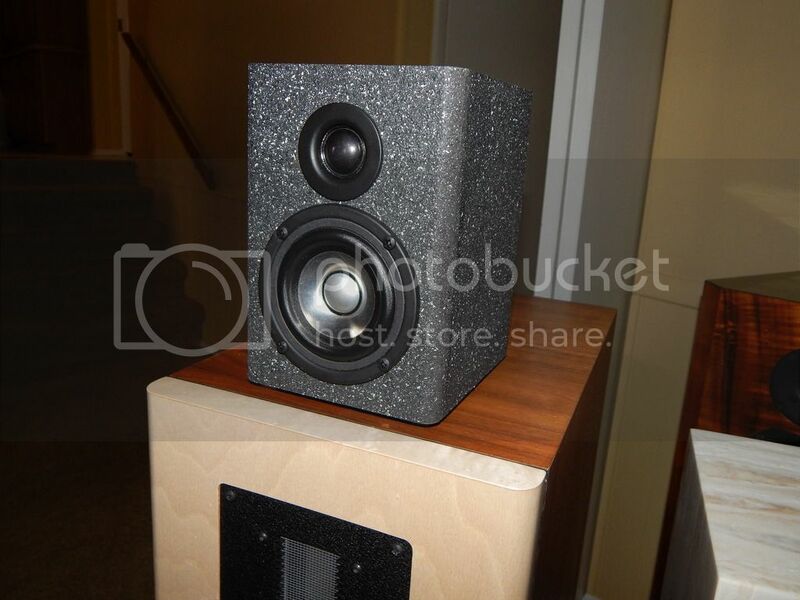 The frequency response of this speaker is exceptionally flat, and vocals are very clean and realistic. 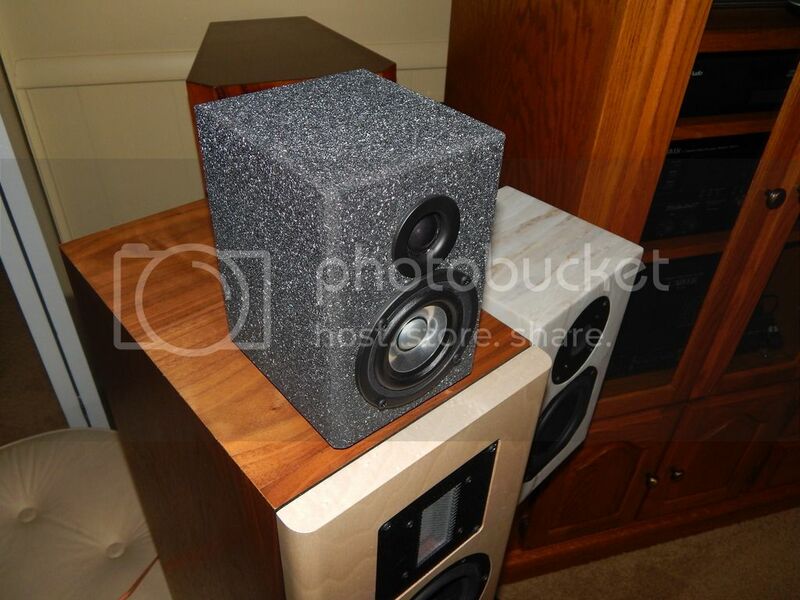 Bass is better than you might expect give the speaker’s size and bass extension. And another thing that surprised me was the measured phase response , the speaker turned out to be a minimum phase design, even the Impulse Response shows a single peak revealing the perfect time relationship of the two drivers. 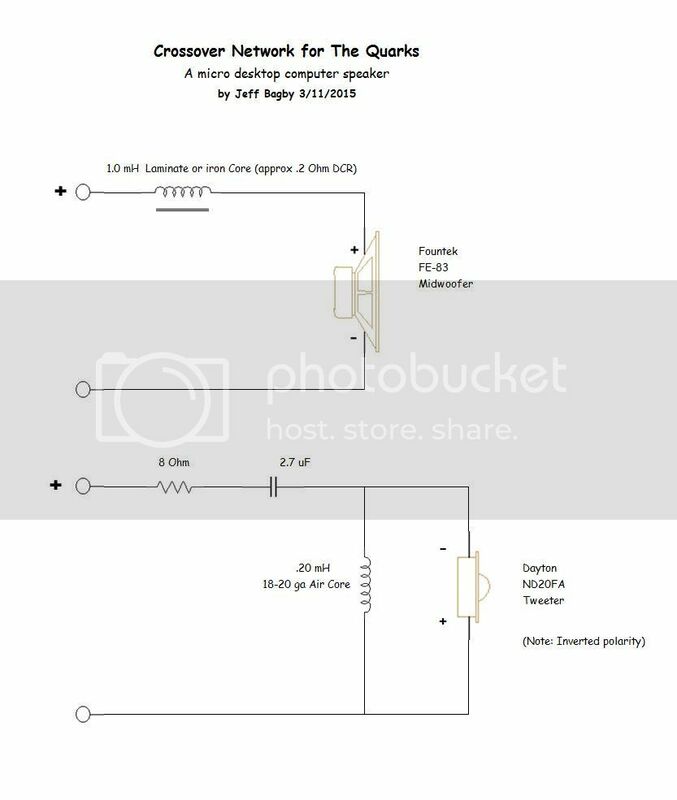 The impedance is a solid 8 ohms or higher, so a lot of T-amps can drive this speaker without issue. I chose the Topping TP-21 Amplifier (PN 310-310), which works nicely for such close listening. So, my final thoughts? I called these the Quarks due to their really small size, certainly the smallest speakers I have ever made. I referred to them as a “Microcosm of Speaker Design” because despite their small size: assembling, finishing, measuring, voicing, etc. 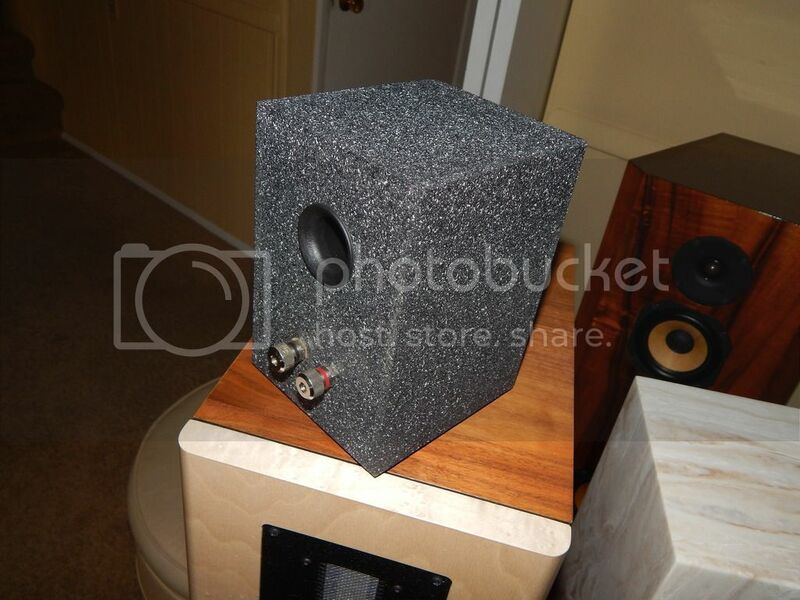 is just the same as it is on a larger speaker, so a small speaker doesn’t necessarily mean a small project. But, I think the speaker turned out better than I had expected. I like the look and it sounds exceptional. If I were to do it again the only thing I would change is to not use the binding posts and go with a terminal cup instead. It was really hard to get my fat little hands in that hole to connect the wires to the terminals. But that’s the only thing I would change.